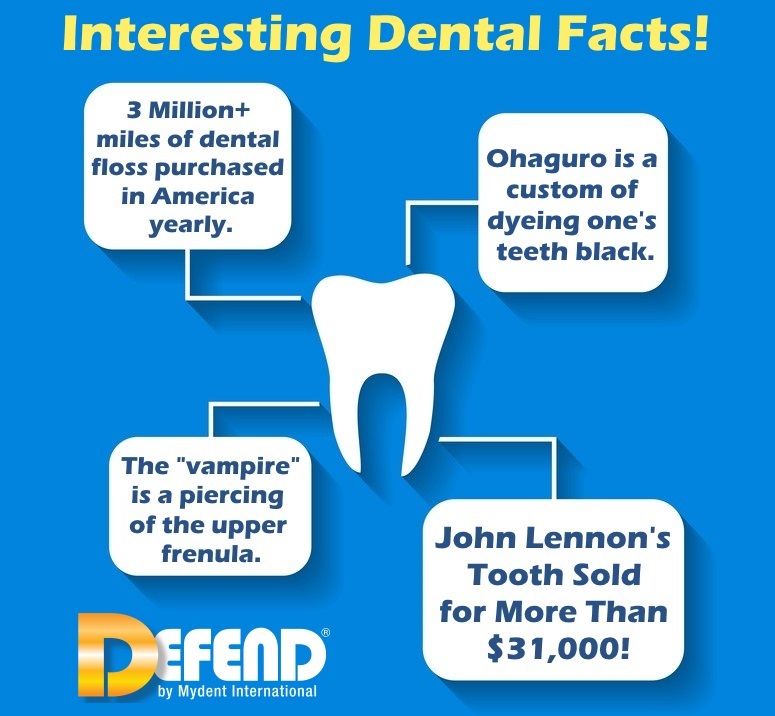 HomeDEFEND Blog13 Interesting Dental Facts! Giraffes have the same amount of teeth as humans, except the teeth in their upper jaws are towards the back of the mouth! In 1816, one of Sir Isaac Newton’s teeth was sold in London for €730. This would amount to over $30,000 by today’s standards. It was set in a ring, and in 2002 the Guinness Book of World Records classified it as the most valuable tooth. Unfortunately, the current whereabouts of the tooth-set ring are unknown! Last year, scientists announced that snail teeth may be considered the strongest material in the natural world. These “limpet” teeth are even stronger than the best spider silk, in addition to many man-made materials! In 1882, dental floss began being manufactured for commercial use after it was invented by New Orleans dentist Levi Spear Parmly, who encouraged tooth flossing in his 1819 book, A Practical Guide to the Management of the Teeth. Throughout its lifetime, an elephant will grind down its molar teeth, and they will grow back in even larger. This will happen up to 24 times during its life, with each tooth weighing up to 9 lbs! Contrary to popular belief, George Washington did not have wooden teeth. He did, however, have ivory dentures.